Transport Canada STC SA15-95, FAA ST03875NY & EASA 10062085. We’re a leading one-stop, compliance solutions provider in the global aerospace community. Our firm creates & produces High Quality, Innovative, Compliant Creative Products for adhesive films on any aircraft, flying the skies. With over 20 years experience in the aerospace industry, our firm’s success is a reflection of our collaborative and innovative approach to solving market needs. Launched in 2016, in Singapore, LibelluleInnovation \\ AeroSpace Brand Intelligence is a new division of LibelluleMonde, the cornerstone of..
We manage the risk of investing in the aerospace sector at the highest standard possible, above and beyond general industry standards. We define quality as a product or service that meets and exceeds your expectations on a consistent basis. We believe in sharing knowledge and with that comes responsibility. We accommodate our customer’s needs with a flexible approach and the option of bespoke designs. Currently supplies over 80 airlines & aircraft manufacturers around the world. We are recognized as a leader in aeronautical systems integration. All products delivered with Supplemental Type Certificate (STC). Specialized in the Aerospace industry since 1995. All film types are performed using 3D modeling for every aircraft. Outstanding production capabilities and availability. We use the latest machines, software, resources and skills to excel in our sector. Certified Women's Business Enterprise by the diversity program in USA. Our company is an industry-leading Aerospace manufacturer for airline companies, maintenance centres, MRO, aircraft manufacturers, OEM, coatings and other companies. We offer our clients industrial solutions to solve problems big and small. LibelluleMonde’s success is defined by our innovative and collaborative approach in meeting market needs, the expertise and know-how of our teams and perseverance ensures clients get the best possible results. With our vast experience in manufacturing and installation, we provide bespoke solutions to meet almost any design and creativity needs. 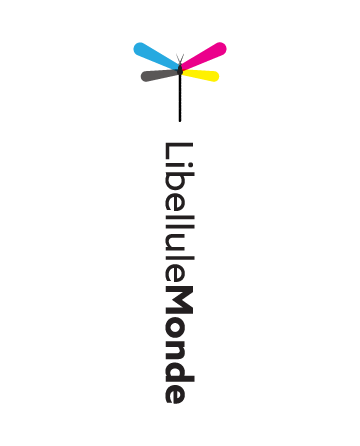 A client-centered approach governs life at LibelluleMonde - from marketing to technical support, sales, training and consulting. On-site assistance is one of our specialties. Our committed installation team is a leader in the industry, delivering practical fixes and 24/24 support for grounded planes. If you have comments, questions or would like more information, please do not hesitate to contact me directly. Doing business with key decision-makers in the airline industry, we’ve gotten to know our market strengths and weaknesses, the rules and the people.